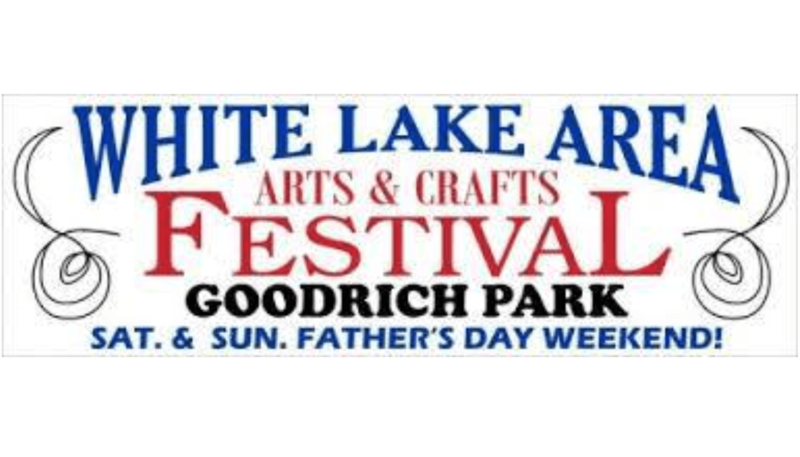 Goodrich Park in Whitehall is home to the 41st Annual White Lake Area Arts & Crafts Festival. The event is expected to draw thousands of people this Father’s Day weekend. More than 70 talented and creative artists participate in this very popular juried art show from 10:00 am to 5:00pm on Saturday and from 11:00am to 4:00pm on Sunday. Those attending can purchase a variety of hand-made art and crafts such as jewelry, wood furniture, birdhouses, ceramics, items for the garden, clothing, paintings and prints, folk art, leather goods, floral designs, stained glass, signs, children’s toys, and bath items. Adding to the weekend is a great line-up of musicians offering a wide array of music, inflatable obstacle course and jump house, and food trucks with a variety of delicious specialties! Interested in being a vendor? Click here to download the application.